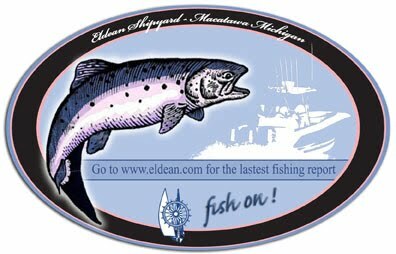 One of the fisherman on E-dock went 3 for 5 this morning out of Holland. A little slow taking small to medium size kings. Next fish again in ~103 FOW, free slider on downrigger set at 93 feet. Greasy chicken on another super screw - ugliest damn lure I have in the box, but the fish like it. Next fish was on a copper slide diver set at 2, 150 feet back - modified blue dolphin, for another greasy chicken.